Andy Hix attended the October talk by Karin Mlaker, at ConsciousLab London. This talk discussed the need and tools to manage change in our lives . Being a highly interactive event, it made him evaluate and understand his personal experiences in a specific light. He shares some thoughts from the event. How do you normally react when things don’t go according to plan? When something in your life changes in a way that you weren’t expecting, in a way that you didn’t want? Do you freak out and get angry, or calmly look for solutions, nimbly re-routing your five-year plan? This is an area rather euphemistically called ‘change management’, otherwise known as what to do when your life goes belly-up. 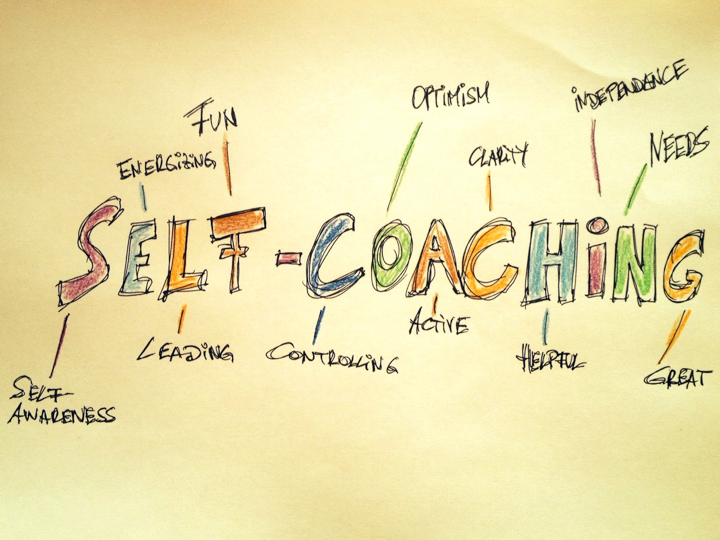 Last week ( 9th October 2014 ) at ConsciousLab, Karin Mlaker led us through a model of ‘self coaching’, designed to help you through such ‘changes’. 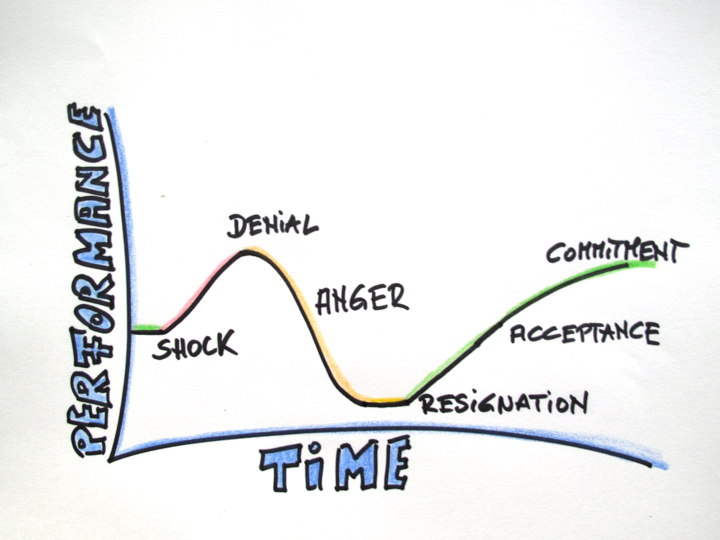 The model she shared with us has six sequential stages: shock, denial, anger, resignation, acceptance and commitment. The idea is to deal with each one as you go through it a constructive way. She invited us to choose a ‘change situation’ that we had experienced, so that we could test out the model. I chose a situation that happened to me recently when a big project that I was expecting to help pay my rent that month was postponed indefinitely. For me, my heart sank and I felt panicky. That was my shock. My mind immediately started doing calculations about how much money I was going to have that month and what other projects I might be able to bring in. I didn’t feel anger as the model indicates, because it was no one’s fault that the project had been postponed. I felt fear and anxiety. We were asked what the feeling was that struck the deepest. For me it started as fear that I was going to get into debt and then fear that I was heading in the wrong direction, doing the wrong things, not working hard enough, not making best use of my skills. Should I even be doing this job at all? Am I good enough? Am I heading in the wrong direction? If so, what direction should I be heading in? 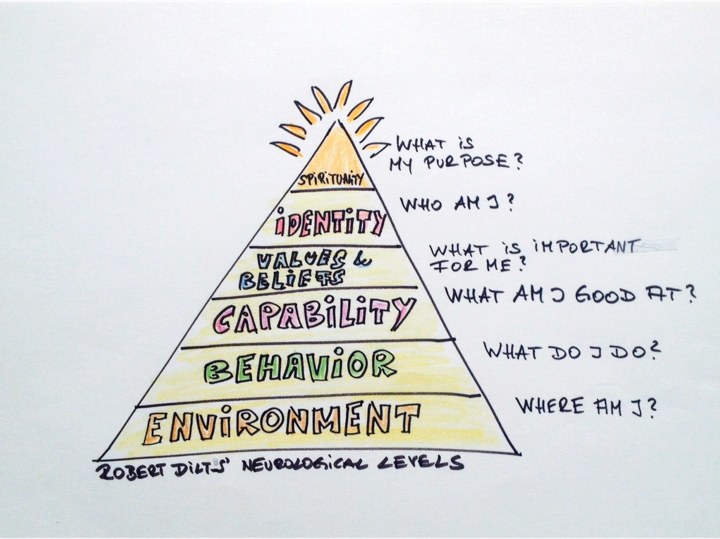 I was questioning every level of the pyramid that Karin showed us, except the environment. I was happy with where I was working, but everything else was thrown into question. One of Karin’s points I found particularly useful was that it’s actually helpful when things go wrong and spark off emotions in you, because emotions point you to your needs and your needs point you towards how you can feel fulfilled. For me the needs that came up were financial security, at one level, but at a deeper level it was the need to feel my work has purpose. For the last five years I’ve been making films, mainly for charities and social enterprises, but without a clear purpose. That makes it hard for me to be motivated to look for more work and to do the work that I’ve already got. At the resignation stage she advises that it’s a good time to seek advice from others. This is actually what I had done. In the hours after I got the bad news I bumped into a friend I hadn’t seen for a while. Talking about what had happened and how I was feeling immediately lifted my spirits. I spoke to more people and became increasingly clear that looking for more income was putting the cart before the horse. What I really needed to do was focus on finding my purpose, and the money is likely to follow. By this time I had reached the acceptance stage. The shock to my financial system had led me to an existential crisis and I am very glad that it did. By being confronted with these questions I’ve got the opportunity to set my business on the course that I want it to be on now, rather than realising in five years time that what still don’t feel fulfilled by what I do. I was even grateful for the shock. Finally is the commitment stage. Karin asked us how do you get from where you are to where you want to be? This is the part I’m still working on. What I really want to be doing is teaching mindfulness and making films that help raise consciousness. How to get paid for doing that is a work in progress! Andy Hix is a mindfulness teacher who’s company, Zen@Work specializes in using mindfulness to help reduce stress and improve focus in the workplace. You can read more from him on his blog. Karin Mlaker grew up in Austria, and has lived and worked in a variety of countries including Germany, Belgium, UK, Singapore and China. She has a broad experience not only as a business leader specialized in internal and external communication; she is also a certified Business Coach and Business Change Expert. She has worked for several international companies such as Deloitte, Worldcom, Young & Rubicam. Karin has experienced some drastic changes in life herself that shaped her to the positive energetic personality facing changes with a smile. I often hear organisations use the words ‘change is the only constant’ . To the extent that regular shake ups are perceived as keeping them competitive . I missed this talk, but wondering are there any indicators of good change? Or is all change good? contentment that one receives after the change that has taken place classifies the ‘change’as a good change.when a sense of easiness settles in leaving no doubts in mind,a feeling of happiness accompanies a joyful heart then surely its a positive change.Contentment certainly does not mean STAGNATION.